Linear regulators control either output voltage or current and dissipate the difference in electric power in the form of heat. Statronics has a wide range of AC to DC converters for use in low power electronic applications where noise can be an issue. Our 53 Series linear power supplies are a rugged, low-noise power supply solution for applications that can do without the high frequency radiation generated by switching power supplies. These are available with outputs of 5, 12, 15, 24 and 48Vdc in single, dual (+/-) or triple output configurations, with features such as short-circuit protection and crowbar OVP. - Environments where low power AC to DC conversion is required. Statronics have established themselves as trusted Australian providers of a broad range of linear AC to DC power supplies. Since 1983, we have worked with a variety of markets including the medical, IT, solar, aerospace, telecommunications, industrial security, rail, transport, lighting and manufacturing industry. It is our commitment to the design, engineering and assembling of power supply, which has enabled us to offer solutions that are industry specific. 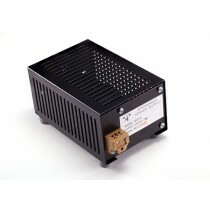 Statronics is one of the remaining few companies in the world designing and manufacturing AC to DC Converters (Linear).